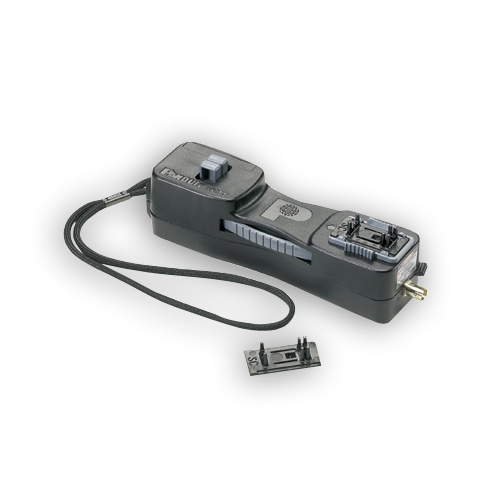 The NEW OptiCam 2 Termination Tool is designed to offer 100% “Right the First Time” termination of OptiCam connectors. The tool immediately calculates insertion loss value on completion of the camming process. The red and green light indicators provide additional visual confirmation of termination. By using the new OptiCam 2 tool, installer productivity increases and time spent on the job site is reduced. Project re-work time will be decreased; thereby helping contractors to improve overall profitability. The NEW OptiCam 2 Termination Tool offers a step by step visual guidance and insertion loss calculation to ensure the field fiber and fiber stub are in proper alignment before camming. This allows even the less experienced technicians to terminate fiber with confidence. A simple, ergonomic and symmetrical design allows for left or right-handed termination in both handheld and benchtop orientations. The NEW OptiCam 2 tool is the most technologically advanced, feature rich option for field terminated connectors in enterprise applications. 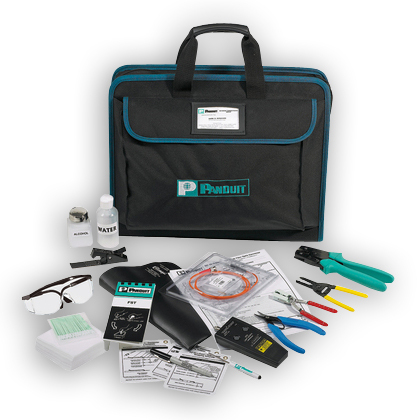 The FOCTT2‐KIT includes: batteries, case, launch cords and one cradle for each OptiCam® LC, SC2 and ST2 connector. 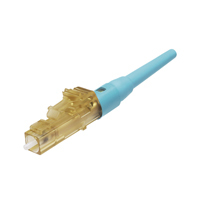 Panduit FLCSMC5BLY LC 50/125um Multimode Simplex Fiber Optic Connector for 900um tight-buffered fiber installation. 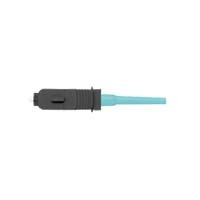 Panduit FLCSMC6EIY LC 62.5/125um Multimode Simplex Fiber Optic Connector for 900um tight-buffered fiber installation. 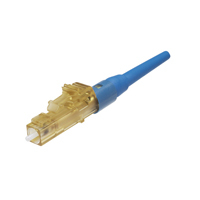 Panduit FLCSMCXAQY LC 10Gig 50/125um OM3/OM4 Multimode Simplex Fiber Optic Connector for 900um tight-buffered fiber installation. 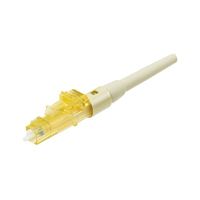 Panduit FLCSSCBUY LC SM Simplex Fiber Optic Connector for 900nm tight-buffered fiber installation. 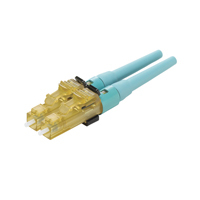 Panduit FLCDMC6EIY LC 62.5/125um Multimode Duplex Fiber Optic Connector for 900um tight-buffered fiber installation. 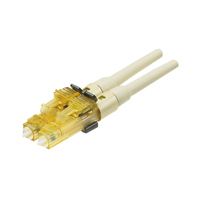 Panduit FLCDMCSBLY LC 50/125um Multimode Duplex Fiber Optic Connector for 900um tight-buffered fiber installation. 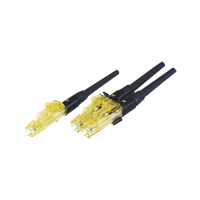 Panduit FLCDMCXAQY LC 10Gig 50/125um OM3/OM4 Multimode Duplex Fiber Optic Connector for 900um tight-buffered fiber installation. Panduit FLCDSCBUY LC SM Duplex Fiber Optic Connector for 900nm tight-buffered fiber installation. 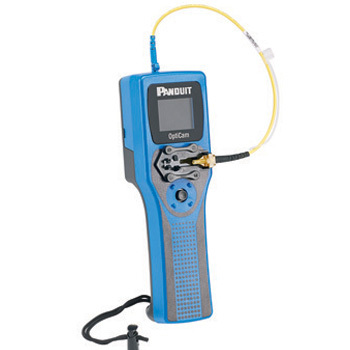 FOCTT2‐BKIT includes: batteries, case, launch cords and one cradle for each OptiCam® LC, SC2 and ST2 connector, Fitel cleaver, installation tools, cleaning and consumables.